In his nonfiction, William T. Vollmann has won acclaim as a singular voice tackling some of the most important issues of our age, from poverty to violence to the dark soul of American imperialism as it has played out on the U.S./Mexico border. Now, Vollmann turns to a topic that will define the generations to come--the factors and human actions that have led to global warming. 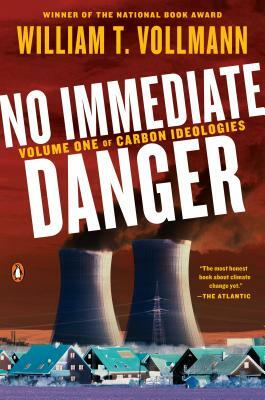 Vollmann begins No Immediate Danger, the first volume of Carbon Ideologies, by examining and quantifying the many causes of climate change, from industrial manufacturing and agricultural practices to fossil fuel extraction, economic demand for electric power, and the justifiable yearning of people all over the world to live in comfort. Turning to nuclear power first, Vollmann then recounts multiple visits that he made at significant personal risk over the course of seven years to the contaminated no-go zones and sad ghost towns of Fukushima, Japan, beginning shortly after the tsunami and reactor meltdowns of 2011. Equipped first only with a dosimeter and then with a scintillation counter, he measured radiation and interviewed tsunami victims, nuclear evacuees, anti-nuclear organizers and pro-nuclear utility workers. Featuring Vollmann's signature wide learning, sardonic wit, and encyclopedic research, No Immediate Danger, whose title co-opts the reassuring mantra of official Japanese energy experts, builds up a powerful, sobering picture of the ongoing nightmare of Fukushima.